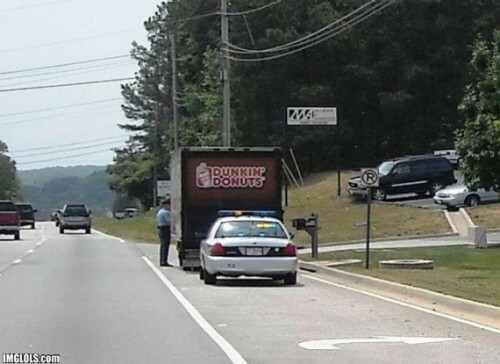 Driver: Yes officer, but I don’t have any donuts in the back. All that’s back there are the ingredients to make donuts. 3 chocolate ones and I’ll let you off with just a warning!